Can I get on a soapbox for a second? Do you mind? 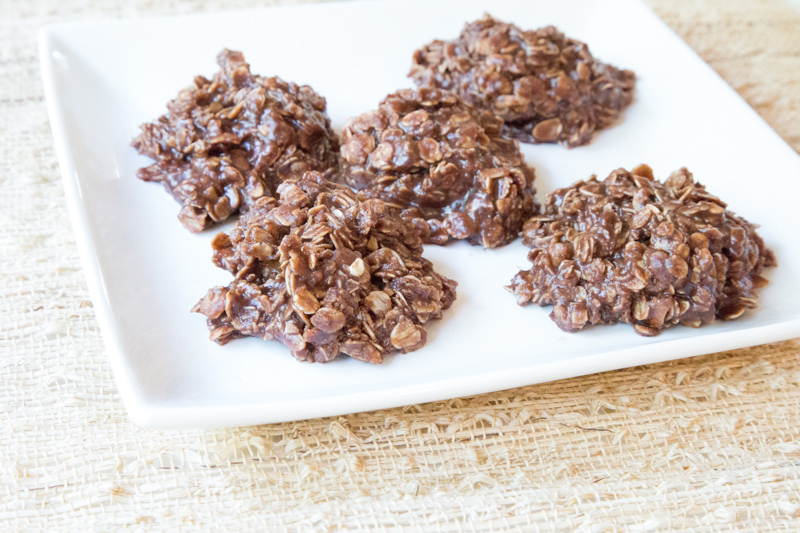 I’ve been making these no-bake cookies for years. I came across a ‘clean-eating’ version of these cookies not too long ago and decided to give them a try. BLECH. BLECH. BLECH. I say this as someone who fully understands the effects of sugar and am a ‘clean eater’ for the most part, as someone who limits my sugar intake (it’s usually just a little in my morning coffee and a dessert once or twice a week! ), and as someone who has completely given up all forms of sugar (except natural sugars in fruit) for a month, twice. I get how powerful sugar is and I fully support anyone who doesn’t want to eat it or eat much of it. When you want to make a batch of cookies, just make a batch of cookies. Or if you want to make energy bites, don’t stress about using all sugar-free ingredients. A little sugar every now and again is fine. A cookie or two here and there is fine. And if you’re gonna make no-bakes, just make regular no-bakes. And spare yourself the ‘blechs’ of trying a clean-eating kind. What is comes down to in the end…MODERATION. All things in moderation. Including these delicious and very sweet cookies. Just eat one or two. Now, go enjoy a cookie. In a saucepan, melt the butter and then stir in the sugar. Add the milk, cocoa powder, peanut butter and vanilla and swirl until smooth. Remove from heat and mix and fold in the oats. Using a small spatula or large ice cream scoop, drop cookies into piece of wax or parchment paper. Let sit and harden for about 15 minutes before serving. 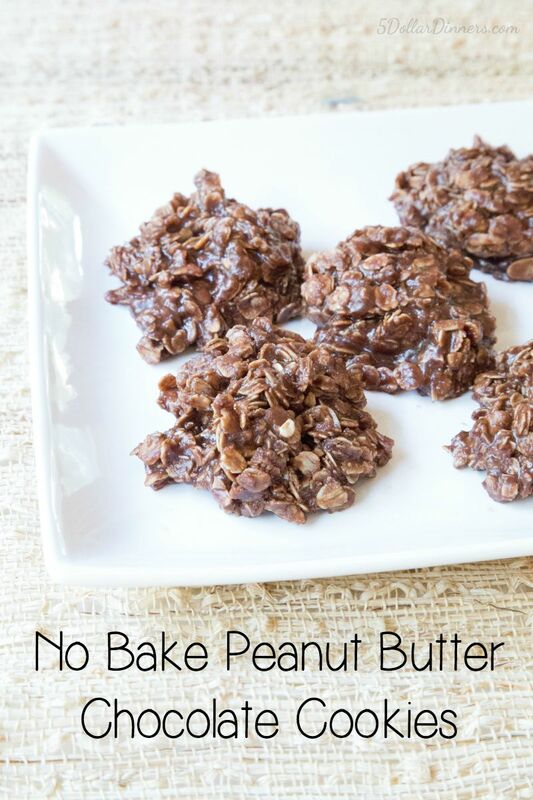 Serve No Bake Peanut Butter Chocolate Cookies for dessert or snack. Totally agree with you about not going overboard on any one thing! It’s my first day on your site, but I like it a lot! Thanks for being here!